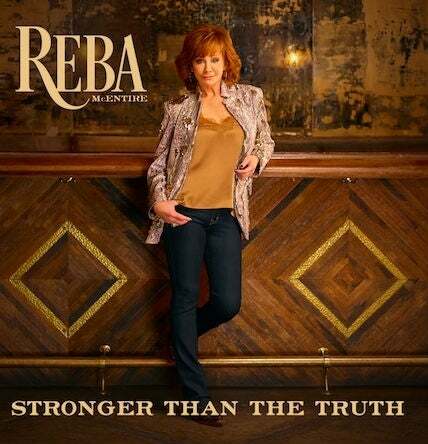 Reba McEntire is releasing a brand-new album, Stronger Than the Truth! The news comes after McEntire shared a cryptic social media post last week, promising an announcement would be made on Monday, Feb. 11. “The response to Sing It Now: Songs of Faith and Hope reinforced my love for recording songs that speak to the heart," McEntire said in a statement. "So when I started selecting songs for this album, I stuck with that same formula – go with the songs that touch my heart, and hopefully when you hear me singing it, they’ll touch yours too. That honesty once again revealed itself." McEntire previously said her new album would be very country, which she now reveals was inspired by her very rural upbringing. McEntire has two co-writing credits on Stronger Than the Truth, in both "No U In Oklahoma," which she co-wrote with Ronnie Dunn and Donna McSpadden, and "In His Mind," which she wrote with Tommy Lee James and Liz Hengber, who has penned plenty of McEntire's previous hits. McEntire just announced she would return once again to host the 2019 ACM Awards. See a complete track list for Stronger Than the Truth below. Pre-order is already available at Reba.com.